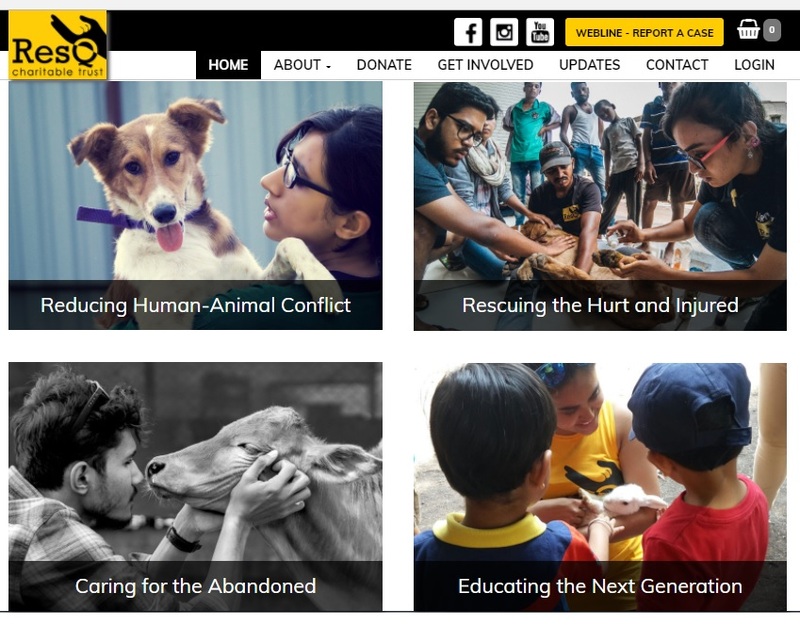 RESQ Charitable Trust is a non-profit organisation in Pune that works towards the rescue and rehabilitation of injured and sick animals, conducting awareness and education programs which focus on impacting society with respect to reducing human-animal conflict and conservation of the environment. They provide veterinary care for 500+ animals each month caring for dogs, cats, cows, buffaloes, horses, donkeys, pigs, rabbits, and several kinds of birds. They also offer: Animal adoption program, anti-rabies vaccination drive, halfway home for special needs animals, animal rescue ambulance, animal hospital and rehab center, onsite rescue treatment, education and outreach programs, animal rescue webline. Sponsor a Project, Sponsor an Animal or Be a Halfway Home as RESQ is not a permanent shelter and needs assistance in housing animals while they are finding them forever-homes. 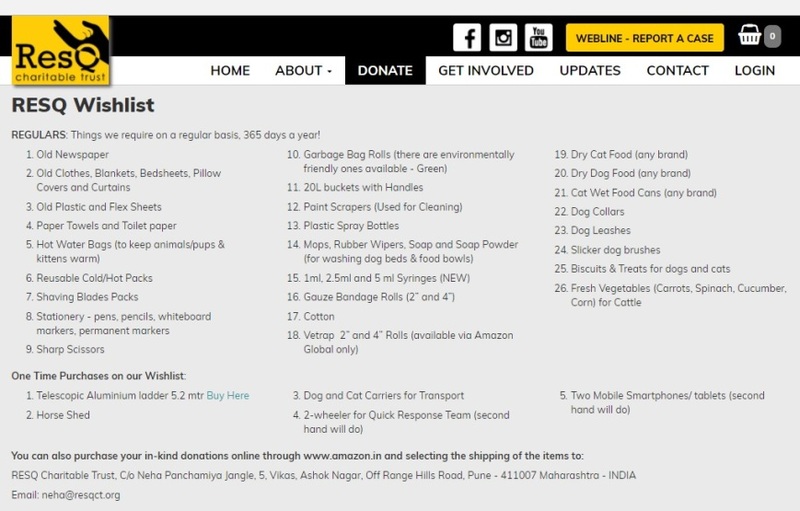 RESQ Wishlist - Consider organizing a donation drive (in your workplace or school) based off their wishlist of items that they need throughout the year. Remember, if you’re hosting an event to register online so you can attract more attendees and make a larger impact! Don't forget to use social promotion to spread awareness to your wider audience! RESQ is a place where an animal in need of medical help is never turned away and helplessness is turned into hope for thousands of animals each year.